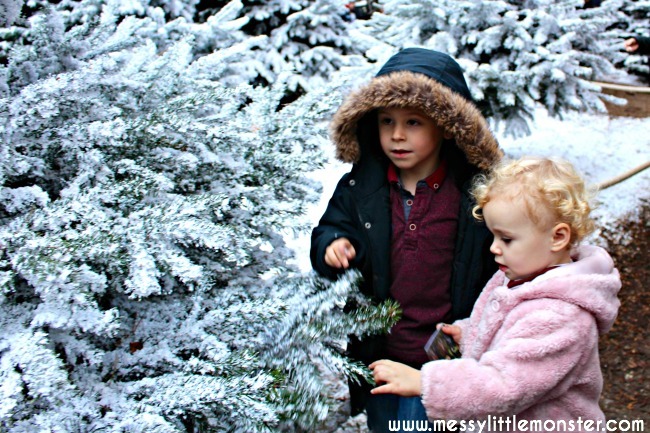 Lapland UK is truly one of the most magical places for young children at christmas time and I am so excited to share our Lapland UK review with you! From the moment we arrived at the enchanted forest we were emerged in the magic of 'Lapland'. 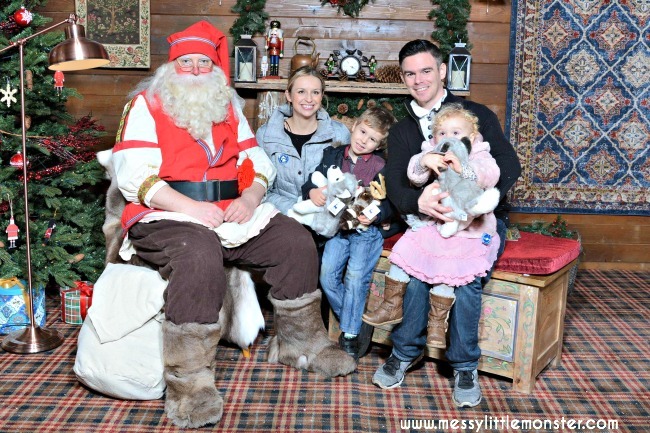 Lapland UK is based in Ascot and is SO much more than a 'Santa's grotto', the experience lasts about 4 hours and it is magical for kids and adults alike. What a fantastic start to the Christmas season! 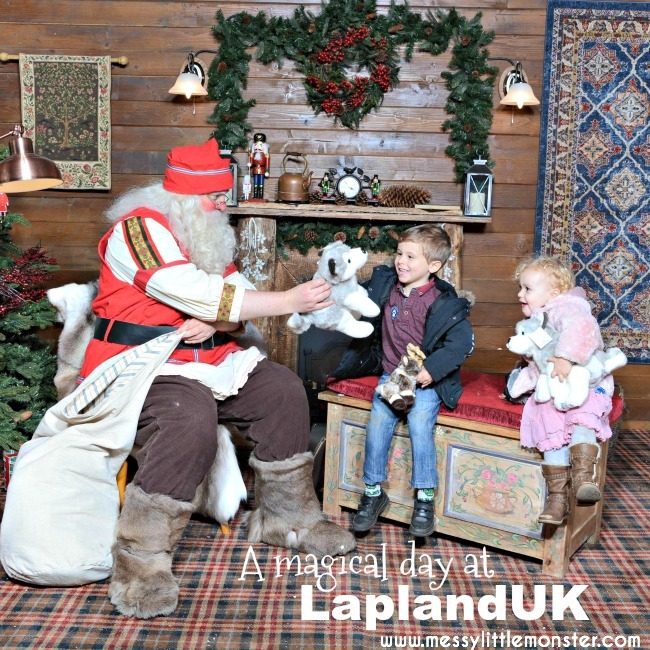 We had an unforgettable and totally magical day Lapland UK and I have really enjoyed writing this review to share our day with you. I have included our top tips for a visit to Lapland UK and a video of our highlights of the day. As there are so many children on the good list this year Father Christmas and his elves need some help! Harry (aged 5) and Daisy (aged 2) were lucky enough to be sent invitations asking them to help Father Christmas in his workshop. You can imagine the excitement when the children received their letters! They appeared on the doorstep covered in sparkles whilst the children were taking their bath. After spotting the twinkly letters from the top of the stairs they raced down to discover their invitations and ripped them open. 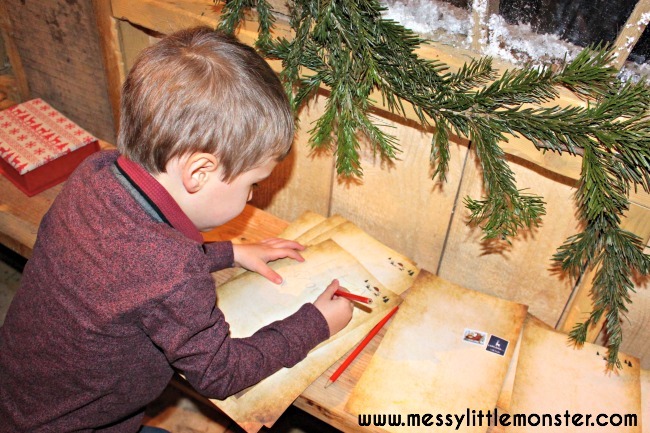 Harry quietly took in every detail as I read him his letter and he excitedly counted down the days to his 'elf day'. Daisy (being a typical 2 year old) ran off with her letter before I had chance to tell her what it said, but joined in with the excitement! On the day of our visit we followed the directions on our letter '0 degrees North, 20 degrees west' and Harry chatted away during the drive about what he imagined Lapland would be like. 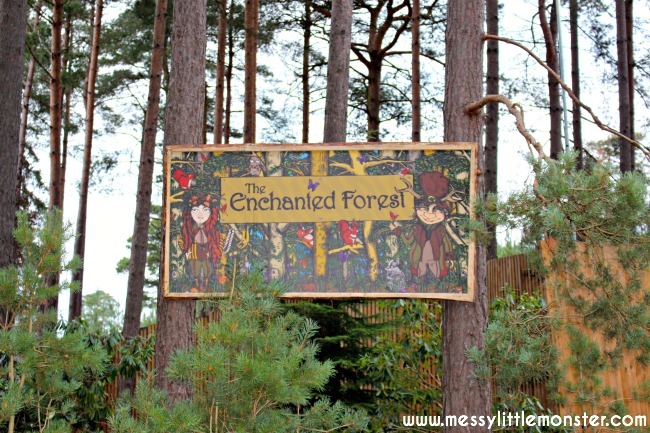 Once we had parked we followed a path through the enchanted forest to check in with the elves. We got our elf passports (which are stamped after each activity) and elf jingles (the currency used in the elf village) and we waited in the wooden log cabin to be taken into 'Lapland'. We got there about half an hour before our allotted time (3pm) and it was perfect timing. Enough time to take in the atmosphere but not too long to keep the children waiting. All of the big folk and little folk (as the elves called us) were split into two groups, the huskies and the reindeers. We were huskies and during the afternoon the children perfected their husky howls perfectly. Even now days later they are going around the house howling like huskies! We followed our group into a large room where we came across an old elf hanging up his washing. We took a seat and listened as he told us how elves come from pine cones. The bigger the pine cone they come from, the bigger the elf. Harry was expecting to see tiny little elves so this explained perfectly why all the elves in the village were the same size as us! 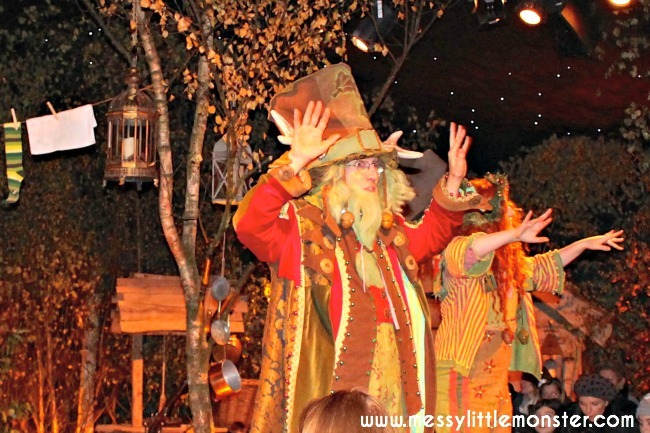 Listening to the elves tell their story was like watching a mini theatre production. We sat on wooden benches around a little stage. Daisy loved the elves so much that she decided to stand at the front to take a closer look! Just behind the stage is a huge wooden door, the door to 'Lapland'! We were taught a special elf wave, said some magic words and then met our guides who took us through the door into the magical land of 'Lapland'. 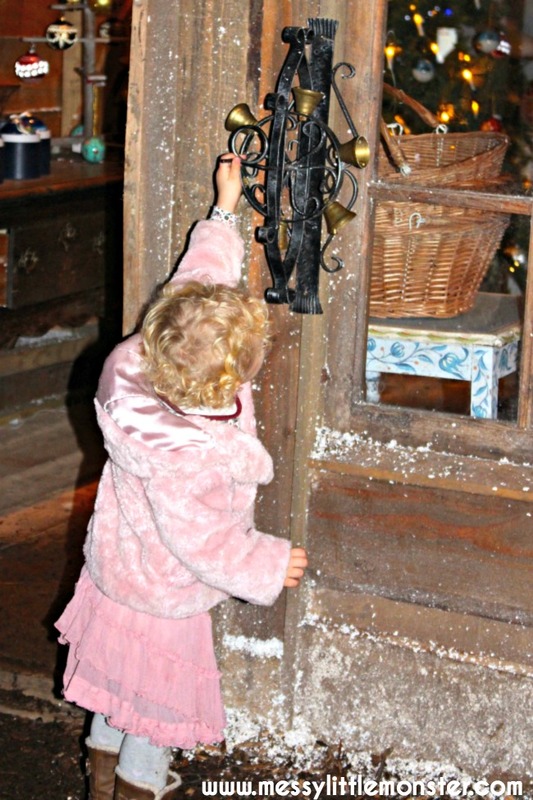 As the door was opened there were gasps of amazement from the children as we saw the snow covered buildings and trees. As we walked along Harry did comment that it wasn't real snow, but it didn't stop him from rolling up tiny 'snowballs' to throw at us! 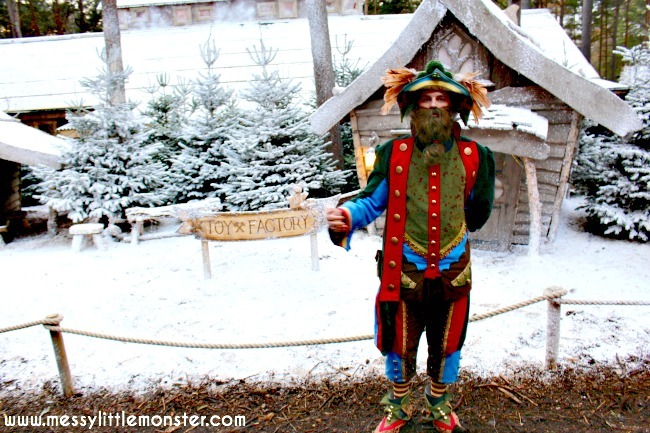 We followed our guide along the woodland pathways into the elves workshop. The children went with the elves through a tiny child sized door. We met them on the other side and helped them take their seats at their workbench. The children all sit at workbenches in the middle of the room and there is space around the edge of the room for adults. Once all the children were seated the elves explained to the children the work that needed doing. 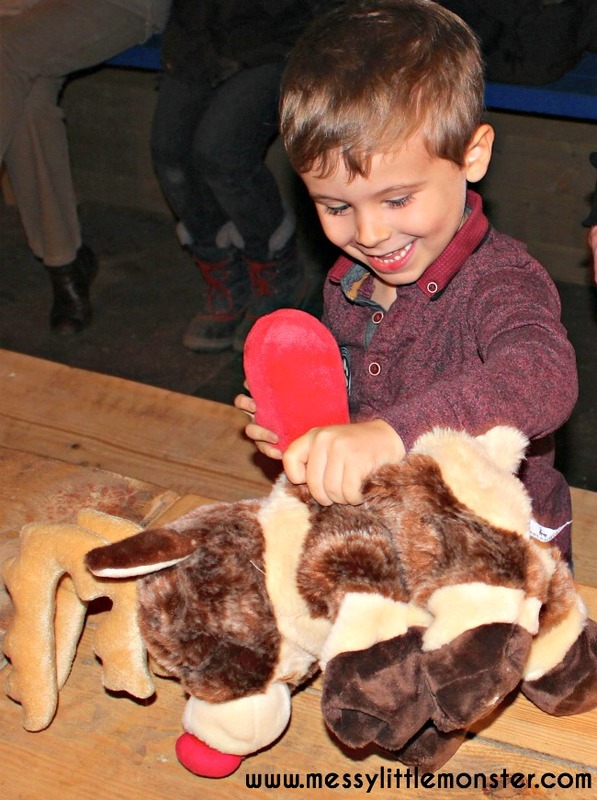 They each had to make two toys, a soft reindeer that needed stuffing and a wooden teddy. Once completed they took the toys to the store room ready for them to be wrapped and delivered. Daisy needed a little help but Harry mostly made his toys by himself and he took his role very seriously! With their work complete the children were invited to visit Mrs Christmas in her kitchen. 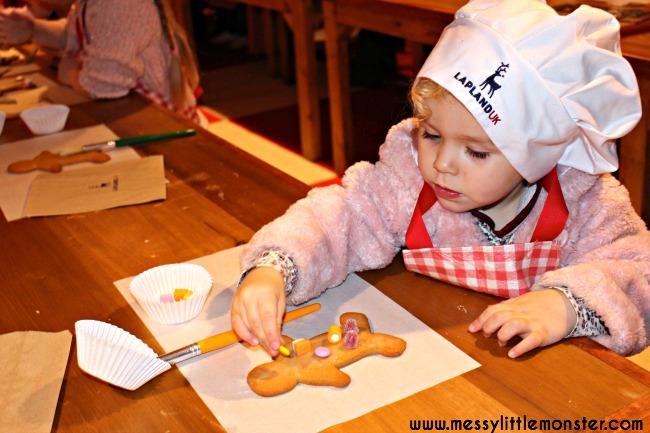 They put on chefs hats and aprons and had a go at icing some gingerbread men. Yum! Mrs Christmas warned the children not to give any of the gingerbread men to Father Christmas as he is starting to get a bit fat from all the mince pies he is eating! 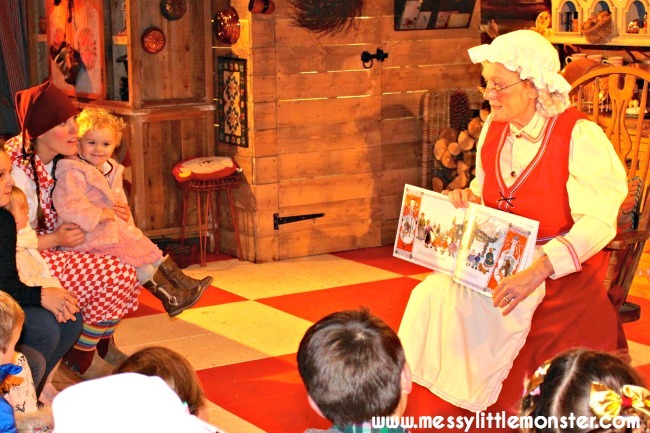 Before leaving Mrs Christmas's kitchen the children sat down to listen to a story. Then it was time to spend a bit of time in the elf village. We had about an hour and a half in the elf village before we had to make our way to Father Christmas's house at our allotted time of 6pm. The elf village is amazing and I would have loved to have a little longer there. There is an ice rink with a Christmas tree in the middle, a post office to write letters to santa and lots of little shops and places to get a bite to eat. 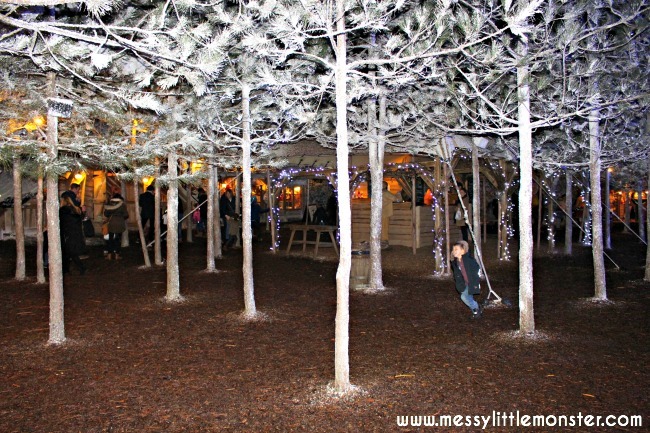 It was so magical watching the children in the elf village giggling as they chased each other around snow covered trees filled with fairy lights. Cheery elves and huskies and their handlers were wandering around and with Christmas music playing and people ice skating behind us it was like a scene from a storybook. 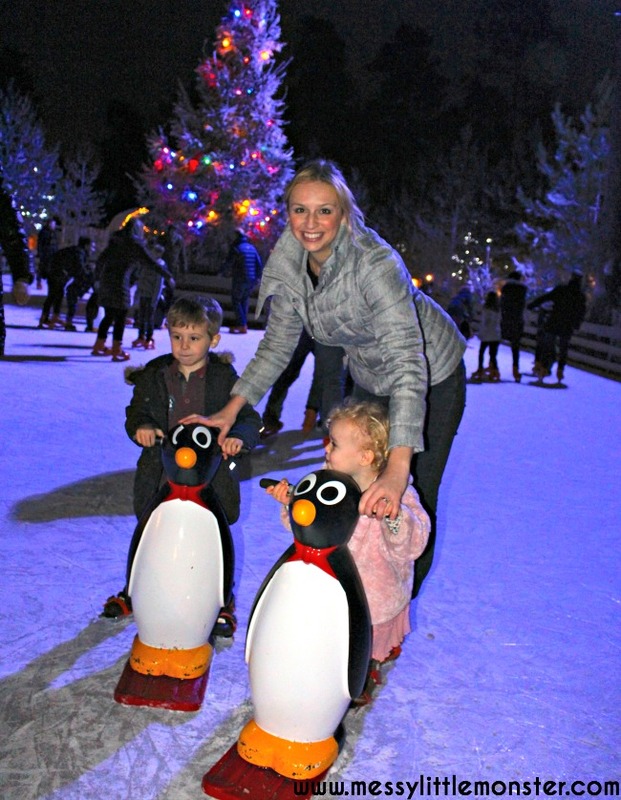 Harry and Daisy have never been ice skating before so you can imagine their excitement as they put on their skates and took to the ice. There were penguins to help the children skate around the ice rink (which I needed too as I haven't been ice skating myself for years). Harry got brave after a while and had a go at skating without his penguin and Daisy loved thinking she was doing it herself as we skated her around the ice. We could have skated for longer but we wanted to leave time to explore the rest of the elf village. The children excitedly wrote their letters to Santa at the post office and had their letters sealed with an official seal before posting them to the big man himself. All of this before the most exciting part of the day, visiting Father Christmas. At our allotted time we left the elf village and went to see Father Christmas. With more windy passage ways and an elf to guide them the children found their way to Father Christmas's home. They briefly stopped to see his sleigh and reindeer on the way. Harry found it very funny that we were told Father Christmas was asleep so we would have to wait a minute or two outside his house before we could go in! Once in Father Christmas's home the children sat on a large box seat together. Father Christmas made them honorary elves, he looked for their names in the good book and talked about their favourite activities and cuddly toys. We walked out of Father Christmas home with husky dog toys, a story book and huge smiles on our faces. With happy memories, excited but very tired children and our scrap book of photos from Father Christmas's house, we left Lapland UK and headed home. It was a truly memorable day. 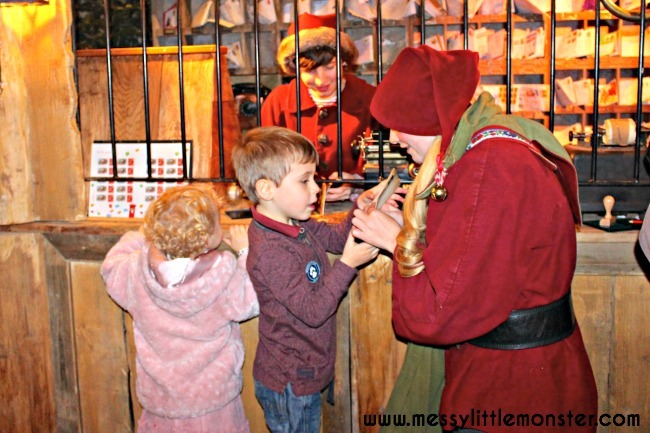 Lapland UK is a magical place for children and adults alike and I could not recommend it more. I could not fault the place at all, everything ran smoothly. We were taken from one activity to the next in our group, there was no queueing or waiting around and the people working there could not have been more helpful. It is an expensive day out (tickets are priced from £75.50 each), but so worth it if you have the opportunity to go. 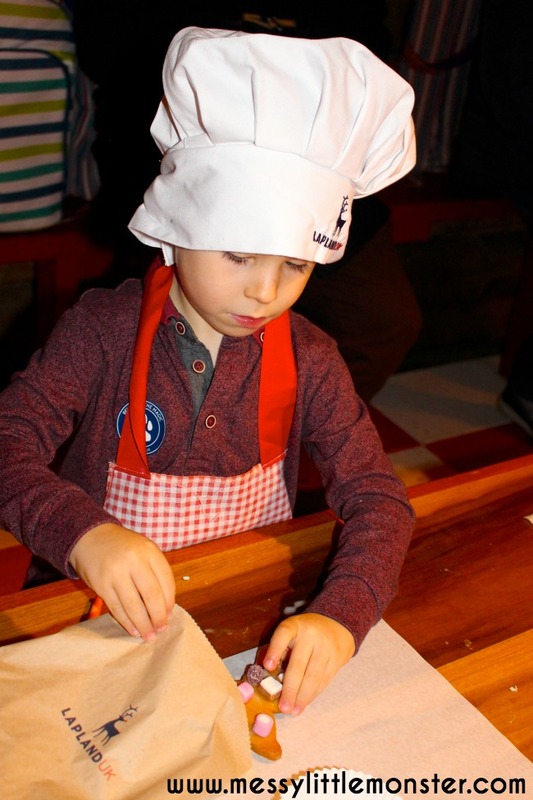 Harry (aged 5) was a perfect age for the experience, but there were a lot of much older children enjoying themselves too. 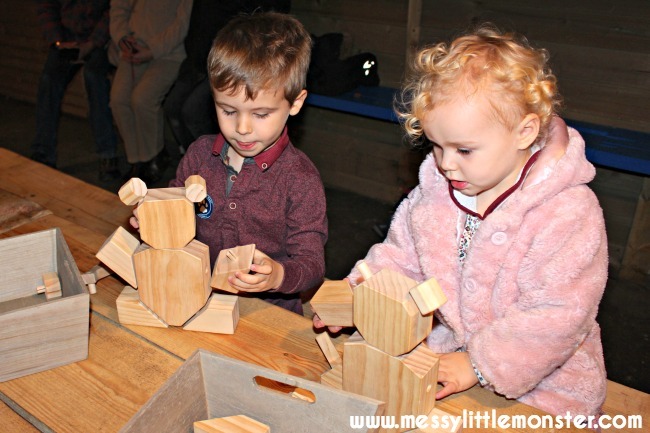 At 2 years old Daisy loved getting involved in all of the activities. The children had the best time and so did we! When booking your arrival time think about when it gets dark. We went at 3pm and for us it was perfect as we arrived in daylight, but we were also able to experience the full effect of the lighting as it got dark. 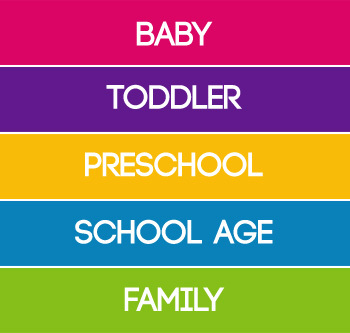 Fill in each child's name after booking so their personalised invitation can be sent. The excitement begins as soon as the invitation arrives. 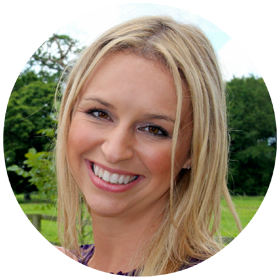 The invitations arrive in the same envelope as the entry tickets so you can be imaginative about the way you give them to your child. Add details about each child's recent achievements and favourite things. They will be amazed by how much Father Christmas knows about them! 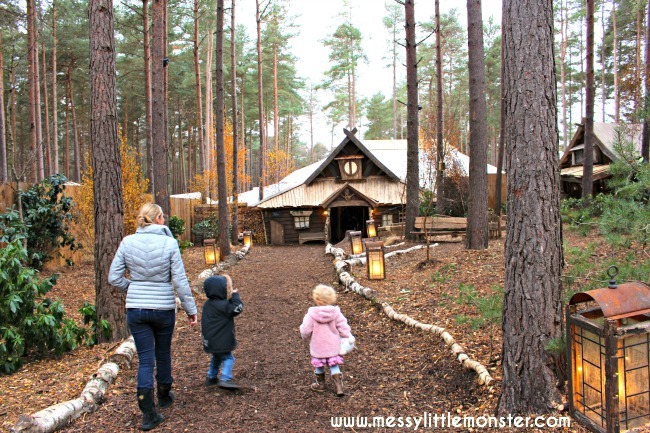 Arrive about 30 minutes before your check in time so you can enjoy the walk through the enchanted forest, check in, collect your elf passport and elf jingles and relax in the wooden log cabin. 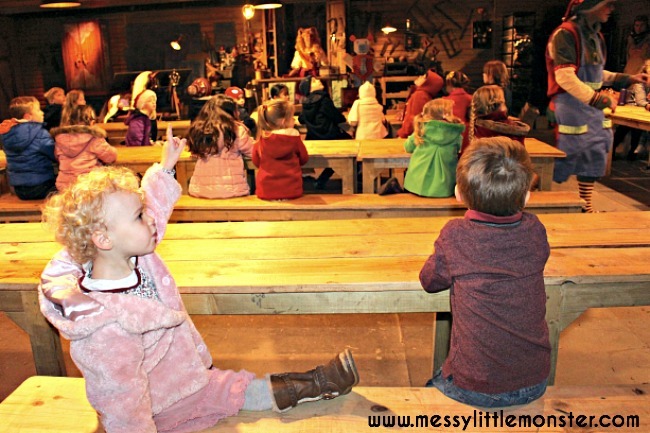 All activities are included with your day ticket (invitations, elf passports, making toys, icing gingerbread men, ice skating, writing and posting letters, visiting father Christmas and receiving a quality gift and a scrapbook with photograph.) The only extra money you will need to spend is for buying gifts in the shops and for food and drinks. Take everything you will need for the day with you as once you have started the tour there is no opportunity to go back to your car. Think about what you are wearing as a lot of the day is spent outside. 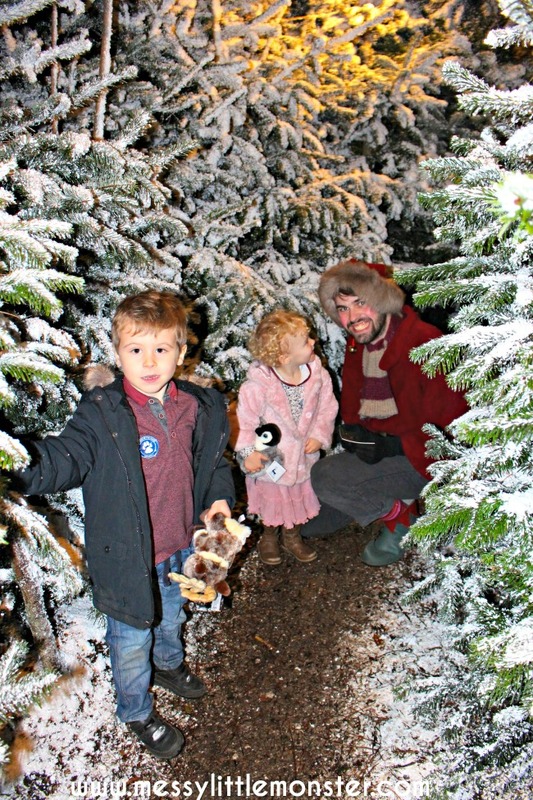 You get given one photograph from Father Christmas's house at the end of your visit (which can be upgraded to 3 photos for £15) but don't forget your own camera! Disclosure: Thank you so much to Lapland UK for sending us tickets for the purpose of this review. All thoughts and opinions are our own.